If the event is cancelled by the Event Partner, an 'In-Store' credit will be issued to the registered student to be used in any of the competition events for the rest of this competition season. This is a multi level innovation class where students from various background and diversity will learn how to create solutions to real world challenges. This camp section will be using the Maker Space Classroom concept for content delivery. This course will develop student’s problem solving skills, technical skills, and creativity. Students will work in design teams and utilize everyone’s strength to complete the daily activity challenge. Prepare for loads of fun and hands-on building opportunities. This robotics course provides students with hands-on and project based learning opportunities revolving around science, technology, engineering and mathematics through the utilization of VEX IQ robotics kits. Daily technical challenges must be solved through collaboration, competition and innovation. Learn how to solve complicated problems and challenges with Coding and Computer Programming. Introduction will begin with flowchart logic programming and then progress on to programming a VEX-IQ robot. If you love computers and robotics, this is for you. Be prepared to learn and have fun! 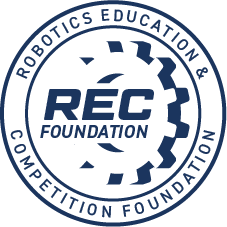 This is an entry-level course for any students who always wanted to try robotics and their schools don’t have a program. You don’t need to know anything about robotics, just be willing to have fun. You will learn to program and build robots. We will use the VEX-EDR and/or V5 platform. Learn how to solve complicated problems and challenges with Coding and Computer Programming. Introduction will begin with flowchart logic programming and then progress on to programming a VEX-EDR or V5 robot. If you love computers and robotics, this is for you. Be prepared to learn and have fun! VEX Summer Camp and VEX Summer Games – Operated by Arise Academy.